If there’s anything defining about our company, that is it. Our deep passion in bringing nature to the community – that they should feel they are experiencing something for the first time, even if they have visited before. That is why we re-invent Dubai Miracle Gardens every year. Why we continue to find innovative ways to create every new initiative, so each time it’s something its audience has never seen before. Visitors love to come season after season to see what new ideas we achieve. As it is still now, the inspiration of nature was the lifeblood of our company from the beginning. That if we could create new and inventive ways to inspire people – to touch hearts while educating communities about the wonders of a green environment, then we were onto something truly special. That if we could create this within a desert landscape, then anything is possible. Abdel Naser Rahhal is the Vice Chairman and founder of Cityland Group - creators of the iconic Dubai Miracle Garden and Dubai Butterfly Garden. A seasoned corporate banker turned entrepreneur, Fahimuddin currently serves as CEO of Cityland Group since 2014. An experienced professional with a proven track record across 15 years, Farhan Shehzad currently holds the position of General Manager. He is an agricultural engineer by profession, a leader, and a sought after designer in the field of horticulture. Under the Chairmanship of H.H. Sheikh Theyab Bin Tahnoon Al Nahyan, Abdel Naser first established and founded Akar Landscaping Services and Agriculture in Al Ain, UAE. There, he was instrumental in getting AKAR the recognition for its quality work and landscaping projects in both the government and private sector. In order to increase the capability of his company and to utilize a well-established and experienced firm, he decided to partner with ORKIN, the world's finest pest control company holding the American Franchise for the United Arab Emirates. A proactive entrepreneur, he then founded Dubai Miracle Garden in 2013 followed by Dubai Butterfly Garden in 2015 - the world’s largest indoor butterfly garden. Today, Dubai Miracle Garden is recognized globally as the world’s largest flower garden and one of the top UAE tourist destination for family entertainment. 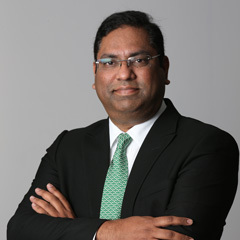 A seasoned corporate banker turned entrepreneur, Fahimuddin currently serves as CEO of Cityland Group since 2014. He also sits on the board of Cityland Group. 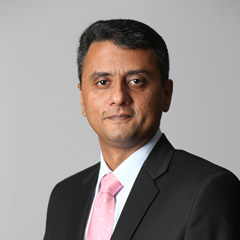 Fahimuddin set off his professional career as Management Trainee with a reputed local bank in Pakistan after completing his MBA degree in Finance and Banking in 1996. Having served the banking industry for nearly 18 years in different managerial positions with various banks, he concluded his last assignment as the Head of Corporate Banking Al Ain at Emirates NBD and joined Cityland Group. He initially started as the Group CFO and subsequently advanced to the CEO level, given his excellent management skills, business knowledge and exponential business growth achieved under his leadership in the span of two years. Fahimuddin seeks his motivation and aspiration from professionally and humanly successful people around him. Fahimuddin believes in success earned through performance, respect earned through honesty and sincerity, and reward earned through hard work. He has been applauded by his seniors, peers and juniors for his quality of work and initiatives in his professional life. 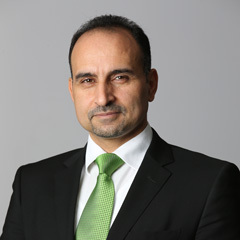 Major accomplishments during the banking career include but not limited to the financing of various real estate and retail projects including Bawadi Mall development in Al Ain, Al Barari Outlet Mall Al Ain and Al Etihad Towers in Al Raha Beach Abu Dhabi; with a combined project value in excess of AED 1.2 billion. He is a highly regarded expert in the field of finance owing to his various assignments in banking and his current job as the CEO of Cityland Group. He is all geared up to bring landmark destinations to Dubai under his leadership. An experienced professional with a proven track record across 15 years, Farhan Shehzad currently holds the position of General Manager, Developments at Cityland where he has been working since October 2014. A double graduate in Science and Agriculture Engineering, with Masters in Water Resource Management from Pakistan, Farhan brings to the table a unique set of skills in project developments along with an uncanny ability to lead from the front. Beginning his professional journey from the position of an Irrigation Engineer, Farhan has traversed through many companies, gaining valuable knowledge and experience across a spectrum of specialties such as irrigation and water management, landscaping and complete project management. His excellent communication skills in 3 major languages, coupled with his managerial and supervisory skills have seem him scale not just the corporate ladder, but also the ladders of success in every project he has involved himself in. Farhan is a natural leader, a strong people’s man, and inspires confidence in all stakeholders including his colleagues, staff and clients with his ability to build relationships, influence, manage conflicts and navigate through office politics in order to get things done. For all his achievements and successes, Farhan remains extremely humble and a dedicated team man. He believes that while individual brilliance is vital, it is coordinated teamwork that ultimately makes the difference between failure and success.